In every successful story ever told, be it a novel, a Television Series or the workplace, the virality of it’s impact depends on the characteristics of the main lead or leader. His/Her character should be an amalgamation of a strong leader who can build a culture of togetherness. While one takes the oath to fight behind the Walls with the Unknown, it is also imperative to unwind at times and have the supper with your men. A motivated team is what John Snow had and his conviction that fighting the dead collectively was the only choice they had. 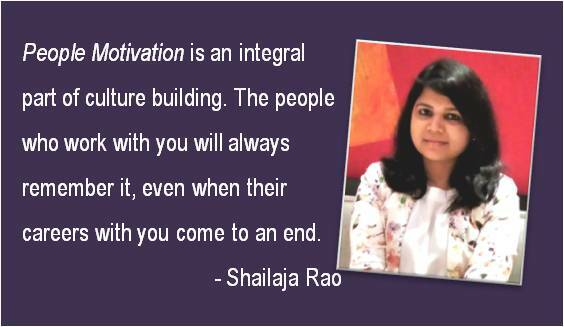 People Motivation is an integral part of culture building where the people who follow you or work with you will always remember it even when their careers come to an end. Someone rightly said, “Leaders can let you fail and yet not let you be a failure”. It is during a crisis situation that a leader’s true qualities are revealed and the culture he built will help the organisation/the clan sail through the storm. Always stand for what the value systems of your group are, even if it calls for some tough decisions. There are times when you feel “What if” and we believe it is always good to encourage who question what they did and move in the right direction learning from their mistakes. Leaders of an organisation also need to remember who their mentors were and more often than not they will remember people who motivated them to go beyond their abilities, challenge themselves or supported them when they felt lost. Create a feeling of belonging and a culture of ‘Work hard & Celebrate harder’, a culture of recognition, rewards and a platform of choices/opportunities, this is how you will see the organisation grow many fold. A purely number-led/target-driven organisation may see huge success but does it become one of the best places to work for, maybe not. A tough balance to be attained by the top leaders is ensuring work-life balance and growth for all. We all are learning nuances of how we work with the new generation of millennials who are constantly looking for a hook in their lives and you could be that hook. Choice also lies within you if you wish to be that kind of an organisation who takes personal interest in its people’s growth, understands and talks their language yet keeps fair equilibrium where required. Try make a world that they can relate to and wish to come to every morning. Seek their advice, no shame in that (John Snow did that) and make changes or adapt. Make your people your mouthpiece and see the growth happen the way you desire. Your team will advocate the culture and you will see the growth! We as a business also need to ask ourselves why there is such a dearth of talent, it is also maybe because we didn’t build a culture of growth, recognition and fun at the same time. Maybe what we have done is not enough and we need to invest more in our profession, especially in terms of our time when it comes to nurturing culture and talent in our people. When we look at parallel industries like advertising or digital firms, they have seen immense growth and a pool of talent. We need to have more of us building a community that trains and rewards them in way they aspire. We must be an aspirational business that creates campaigns the world talks about and innovates in the way we do our business. Be a business where talent comes not just from the PR fraternity but also from other sectors. We will have better knowledge and results if we bring in experts from across. If only we all collaborate for the Culture of the Business, we will ensure growth for each one of us. Let’s all try and catch the ‘Dragon of Culture’ and ride to seek the glory we all deserve. ​Shailaja comes with rich experience in Public Relations with a career spanning over 14 years. Skateboard Media was curated by her belief and dream of creating something unique using her experience. 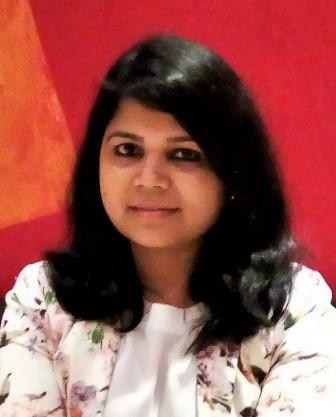 Shailaja oversees the Operations and New Strategy Development for clients across industries at Skateboard Media. A happy entrepreneur today, she has previously worked with Hanmer MSL, VOX Public Relations and Perfect Relations. Be the first to comment on "The Dragon of Culture"